Rice imported into the US from some countries in Asia, Europe, and South America contains enough lead to cause health problems, according to a research presented this week at the American Chemical Society’s national meeting in New Orleans. American adults eating just one 200-gram serving (about a cup) of this rice could consume 10 times the amount of lead deemed safe by the Food and Drug Administration (FDA) in a day. Infants and children consuming child-size portions could swallow 30 to 60 times more than their recommended daily limit. Eating this rice even occasionally could contribute to such chronic conditions as cancer, osteoporosis, nerve damage, and developmental and brain problems in children, says study author Tsanangurayi Tongesayi, PhD, of Monmouth University in New Jersey. Researchers detected lead levels between 6 and 12 mg/kg in all the samples they tested of commercially available rice imported into the US from Taiwan, China, the Czech Republic, Bhutan, Italy, India, and Thailand. In many of these countries, farmers grow rice in areas close to factories and cities. Lead from these sources likely contaminates nearby soil and water and then leaches into the rice, Tsanangurayi Tongesayi says. Only about 7% of the rice Americans eat is imported, but that number is increasing, and labels don’t always indicate a food’s original source. Tsanangurayi Tongesayi recommends choosing a US brand when you can. 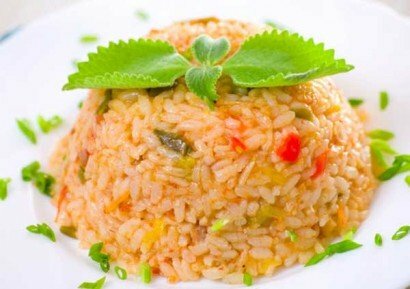 However, since his lab is still testing the American rice to confirm its safety and recent reports have raised concerns about arsenic in domestic products, it may be best to eat rice less frequently, serve smaller portions, or double-boil it and dump the water in between to lower toxin levels. Sources of lead outside your pantry – including the soil near highways and paint used in houses built before 1974 – remain the biggest source of American exposure to the metal. “Lead has no biological value, so there’s no reason to have any lead in your food or in your diet,” says John Spangler, MD, professor of family and community medicine at Wake Forest School of Medicine. Produce grown in city gardens or near old homes or apartment complexes, because lead from paint may permeate the ground. Wash your homegrown fruits and veggies before eating them to remove lead-tainted dirt from the surface, Dr. John Spangler recommends. And consider asking local public health officials to test the soil. Imported canned goods. American manufacturers can’t use lead in food packaging, but some other countries still do. Look out for cans made from three pieces with visible seams soldered together using a silver-gray material. Candy made in Mexico, especially if it contains chili powder or tamarind.